In "Words With Friends" you are listening to me chat with some of my favourite people about one of my favourite things “words”. 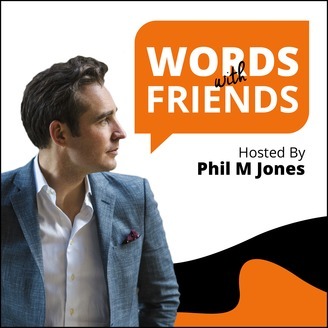 Each episode delivers a insightful conversation between Phil and a very impressive individual, all framed around a singular word and its impact and influence on the world. The best part is, you get to listen in. 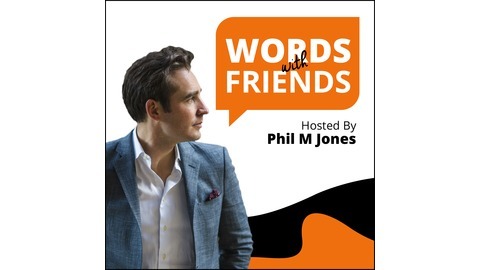 S2 Ep 1: John Acuff Talks "Motivation"
Jon Acuff is brilliant! I met him as we both found ourselves on the same tour of speaking events with one client and we bounced to a few cities together. Not only is he awesome on the stage, he has so much more to offer outside of his stage performances. You may know him from his incredible books Quitter, Start, Do-Over, and Finish. Jon Acuff shares his insight into the word "Motivation". Listen in on our conversation and enjoy learning from being a fly on the wall to our discussion. S2 Ep 9: Jess Pettitt Talks "Normal"
S2 Ep 8: Scott McKain Talks "Service"
S2 Ep 7: Toni Newman Talks "Innovation"
S2 Ep 6: Scott Stratten Talks "Speaking"